I created a Custom Trophy for the on-going Cast Masters Hunt #3 and if you would like to win a copy then simply drop by my place in Second Life. 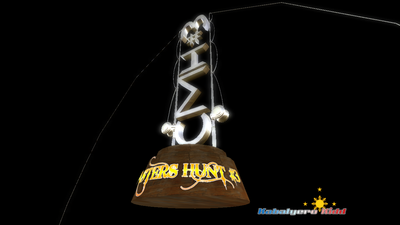 Winning the Custom Trophy is easy, just catch the fish displayed in the Bounty Hunt Board and the Custom Trophy is yours. The Bounty Hunt Board will automatically award it to you. The package for the Trophy also contains a box called Trophy Rezzer. It will rez the Trophy as a temp object. With it, you can display it on your place without worrying about prims. The Trophy Rezzer is only 1 prim.